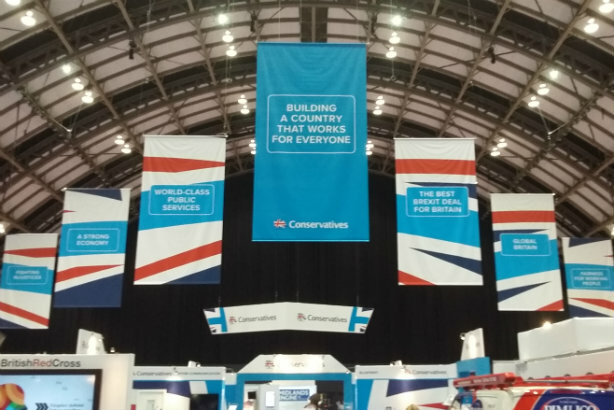 One senior public affairs pro has told PRWeek that clients seem to have been put off attending the Conservative Party Conference in Manchester this year due to fears the event's policy discussions will be overshadowed by the question of leadership. 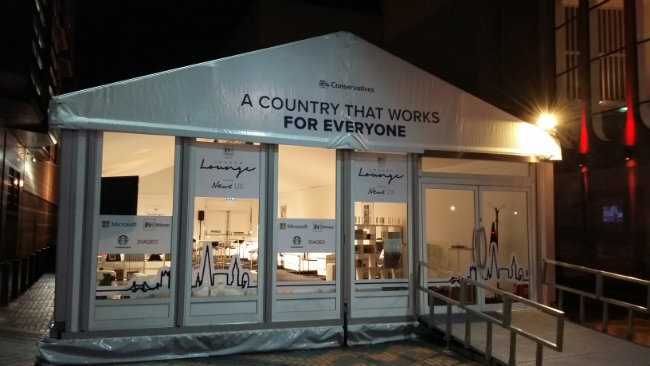 However, the industry is still likely to be in greater numbers in Manchester than it was last week for the Labour Party Conference in Brighton - with iNHouse and PLMR hosting lounges at the event, with Newgate and Invicta also among the agencies pushing their brands at the event. The conference begins on Sunday and runs until Wednesday (4 October). PRWeek spoke to five public affairs and comms professionals ahead of the event. James Acheson-Gray, London MD of APCO Worldwide, said: "This year we will have four colleagues attending, which is slightly down on last year. While some of our clients are still going to Manchester, more of them have chosen to stay at home this year and rely on us to report back. 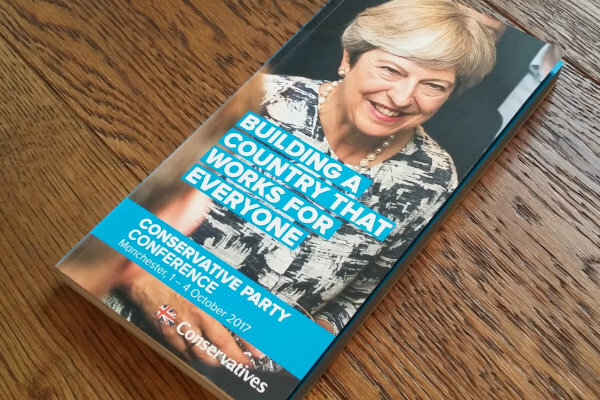 "I think this is indicative of some businesses feeling that the conference is likely to be over-shadowed by questions about May’s leadership and therefore light on progress around key policy areas." While acknowledging that Brexit questions overshadow other policy areas, Acheson-Gray also said his team would be keeping tabs on tech and digital, healthcare and defence issues. Nonetheless, Cicero Group executive chairman Iain Anderson said Brexit was the big issue for him at conference - along with "debate on infrastructure in particular - and ensuring we are able to get things done like energy and housing airport expansion while Government is so focused on Brexit". He said firms of all size "want to know what the Government is aiming for in terms of its Brexit deal so they can plan ahead", but added: "I would say most FTSE companies are already well ahead in planning and preparing for a cliff edge". Andy Sawford, managing partner of Connect Communications, said leadership would be the key theme of the conference, saying the key questions for the week were: "how is Theresa May's leadership holding up, will the conference shore her up or weaken her grip further, will she apologise for the election debacle and her own performance, what manoeuvres will her rivals and future leadership candidates be on". Connect will take 10 staff to Manchester - making it perhaps the agency with the biggest presence at conference, as was the case among the increased agency corps in Brighton last week. Lionel Zetter, a lobbyist (and the proprietor of Shepherd's of Westminster), said he was going to the conference "looking for signs that the party can show a united front (despite Brexit) and that it is not phased by the cultish activities in Brighton last week". A party member himself, Zetter also predicted that the next leadership election "won't be for some time to come". Gill Morris, founder of Manchester-based DevoConnect, said she would have a team of four at the event, and thought that the big theme of conference would be the party's togetherness, although she will also be keeping an eye on devolution, the issue her agency was created to focus on. DevoConnect is holding Devo Question Time on Monday evening, with former chancellor George Osborne the star speaker on a panel also featuring former CBI chief John Cridland. It held a similar event in Brighton. PLMR is for the first time running a lounge, called the Business Hub, within the conference secure zone. It is hosting a number of events including four under its own banner - two fringes are on Sunday night, focusing on Brexit and education respectively. One features Neil Carmichael, the former Tory MP who is now a senior adviser to the firm. It is also looking back to the EU Referendum with Vote Leave chief Matthew Elliott on Tuesday night, and inviting people to enjoy pizza and prosecco while they watch the leader's speech on Wednesday. Newgate is hosting a politics-themed pub quiz on Tuesday night. Lansons will host a business reception, having also put this event on in Brighton. iNHouse Communications is sponsoring the Parliamentary Football Club, and its London Lounge returns to the conference and will again be used by business attendees and for media interviews (last year's Conservative conference lounge in Birmingham, pictured below). Invicta Public Affairs is listed in the conference guide as supporting of the party's invite-only 'The Economy Breakfast' on Tuesday morning.